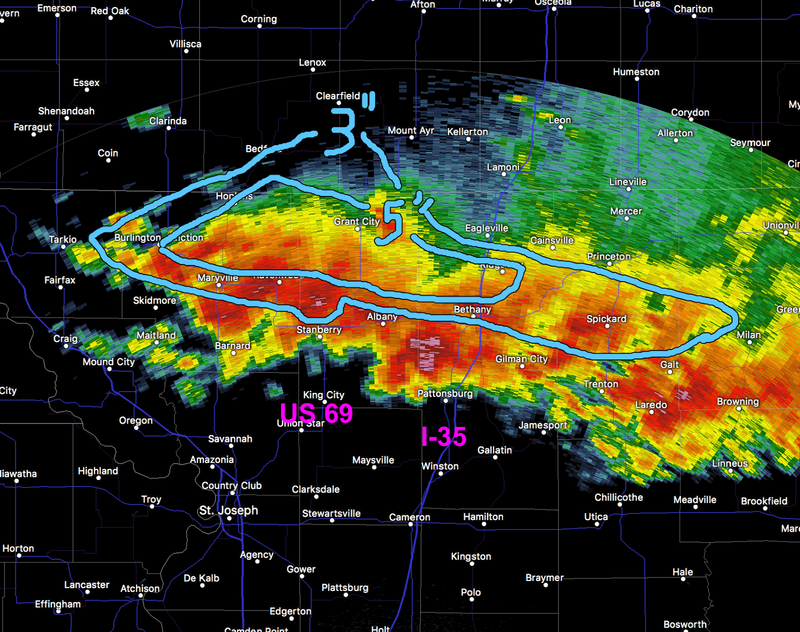 Here is the radar at 9:29pm. I have plotted the 3" amount line and 5" amount line. There are a number of areas of 7" plus within the 5 inch area. US 69 is already flooded. 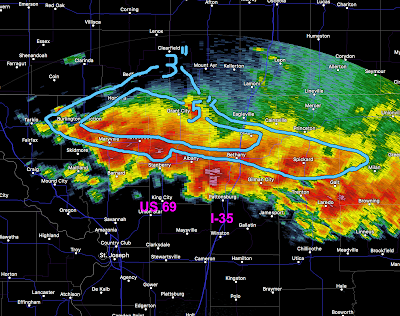 There is the potential for I-35 to flood overnight. A few spots may receive storm totals of ten inches. Remember: Turn around, don't drown. Because the rivers flow generally from north to south, rivers will rise rapidly later tonight and tomorrow morning. If you live near a river that tends to flood, you may have to move to higher ground.